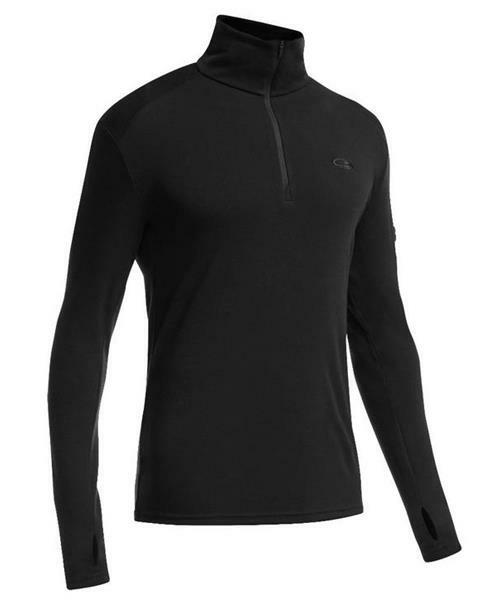 Icebreaker's midweight, long-sleeve half-zip baselayer that’s ideal for cold conditions, the Apex Long Sleeve Half Zip is a highly breathable foundation for any winter layering system. Made with their 260gm weight, 100% merino fabric, the Apex features a half-zip design to help regulate body temperature, and offers natural odor resistance on high-output days and extended travels. Forward side seams and offset shoulder seams prevent irritation while wearing a backpack, and a secure zippered sleeve pocket keeps your ID, lip balm and other small essentials secure.